New Mom’s Drop-in Group at Cloth! Home/Uncategorized/New Mom’s Drop-in Group at Cloth! 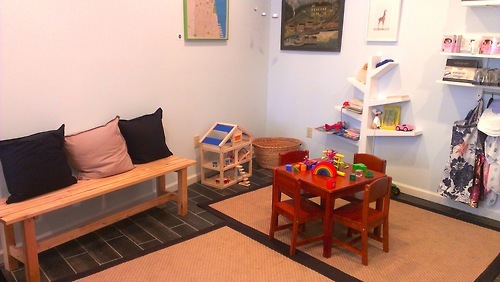 Beginning tomorrow, there is a New Moms Drop-In group every Monday at 10AM at Philly’s natural parenting center – Cloth ! This is a drop-in class and the cost is $10 per class or get a 5-class card for $40. No advance sign up is necessary and both pregnant moms and moms with infants are welcome! Topics will include breastfeeding support, new mom adjustment, infant sleep, peer support and more. This is a great way to meet other moms! I am the facilator of the weekly group and bring my experience as a parent educator, postpartum doula and mom of 3. This class will add to the growing selection of classes offered by local parent educators at the new East Passyunk Avenue store. Angela Shaw-Halperin and Shai Halperin opened the store in June of this year with the hope of it being both a “place of community” for parents with a parenting center and play area (to keep kids busy while parents shop!) and a boutique to get more information to make cloth diapering more accessible to local families. Thank you to Cloth for creating such a needed resource for the Passyunk Avenue community! Authentic Name Papers to purchase: the eventual Efficiency!